Their is something to be said about comfort food. The kind that can take you back to a memory that has been set in the back of your mind. This Matzo Ball soup at DGS Delicatessen takes me back to when I was first introduce to Jewish food by my husband’s aunt. Sitting in her apartment as she fed me some of the most delicious food I ever tasted. I think this soup is the best I have had outside of New York. 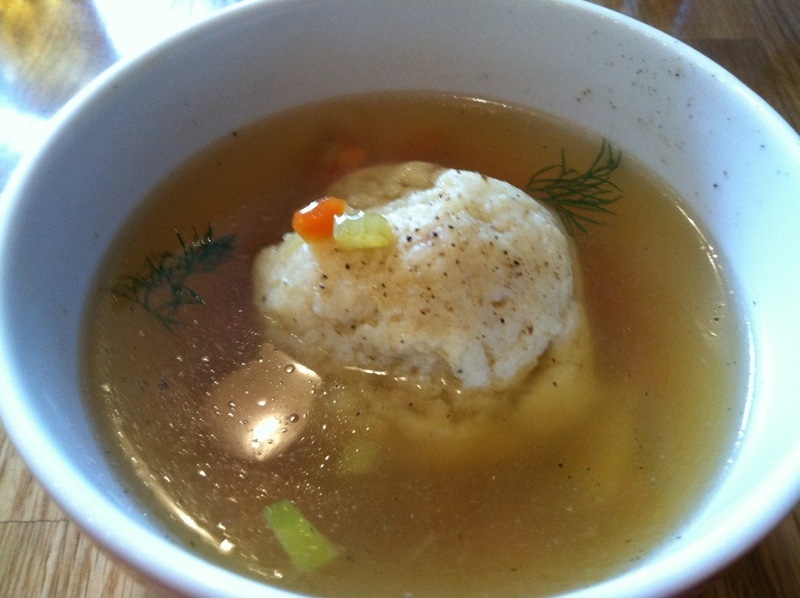 The matzo ball was fluffy. And it was well seasoned. Usually I have to add salt to give it life but this bowl is perfect. Really warms you up on a cold day.